I'm pretty sure most of the country (if not all) has doggy doo-doo laws saying that you need to clean up after your pet. 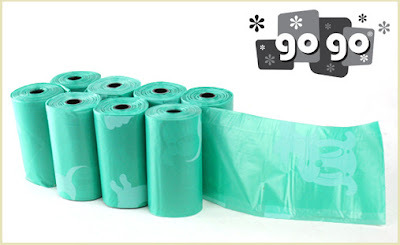 If you need waste bags, you can get a great deal on them at DoggyLoot right now. You can get 8 rolls of scented bags for $11, but new shoppers get an instant $5 credit, making the deal only $6! Even better, they ship for free! In total, you'll get 120 biodegradable bags. Click here for more info and to get your credit if you're a 1st-time shopper!